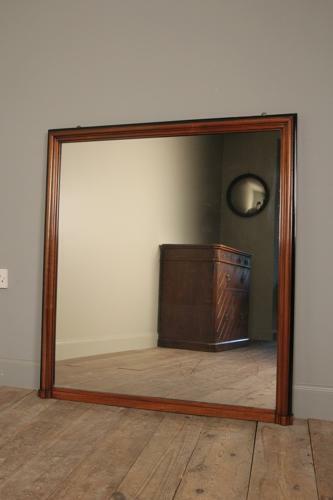 A stylish and understated good quality Walnut wall mirror with Ebonised detailing to the moulded frame. Retaining the beautiful original Mercury plate glass and pine panelled back. Superb condition throughout with good even colour.